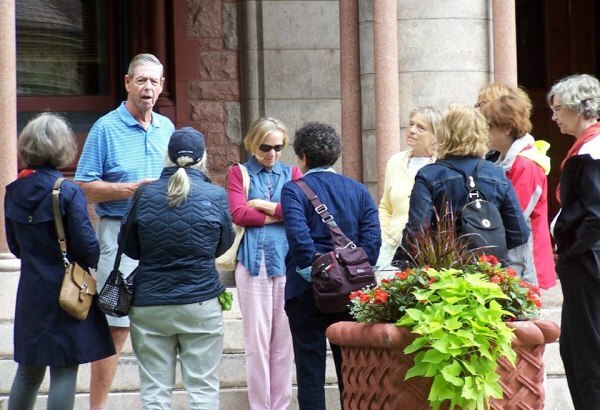 This 90-minute walk outlines the life of Standard Oil Co. executive Henry H. Rogers and the magnificent public buildings that he donated to his hometown. You’ll walk through the village area where one of the nation’s most powerful businessmen grew up while you learn about his boyhood, rise to riches, and the gifts he bestowed on Fairhaven. The tour includes visits inside the Millicent Library and the Town Hall. It is held weather permitting. The Tuesday morning tours are generally guided by Bob Foster, the Thursday tours by Chris Richard.